Monrovia-Liberia - Liberia’s Vice President Chief Dr. 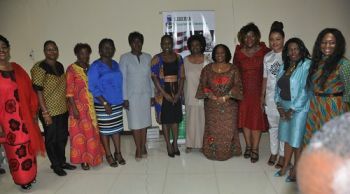 Jewel Howard-Taylor today launched the “Women on Boards Network Liberia (WOBNL),as she urged fellow women to do all they can to ensure that gender equality becomes a reality, according to a release from the office of the Vice President. “The launch of this movement, with the mandate to promote gender equality on the boards of public and private organizations, thereby enhancing corporate governance across the Liberian economy, indeed marks a remarkable undertaking. I can see, thru the eyes of faith, that this move of the LCC will begin a revolution which will open the doors for greater equality,”VP Howard-Taylor averred. Speaking Tuesday, September 18, 2018, when she officially launched the initiative, the Liberian Vice President recalled,“After having spent 12 plus years in the National Legislature, out of which I had held the belief that the National Women’s desire for greater equality could have become a reality; and seeing all of our hard work, hopes and desires blow up in smoke; I was confused as to where we would continue this fight; especially since the Branch clothed with the responsibility to make the laws which should govern all of us in an equitable way shirked from its duty to do so at the time”. According to the first Liberian Vice President, it has been a heavy burden for her and many other women fighting for gender equality who seemingly have no place to seek redress, and who seem to not be able to get a new footing aright. She emphasized that upon hearing of this initiative by the LCC, it was a joy for her and others of like minds to join this new battle. 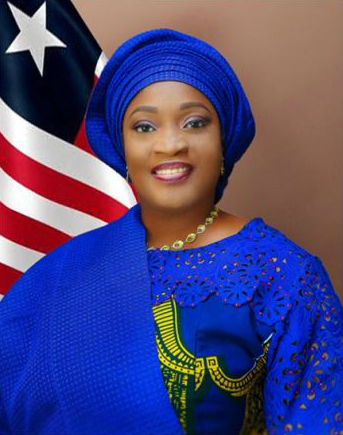 She therefore commended the leadership of the Liberia Chamber of Commerce for being foresighted to begin to turn the tide towards greater equality. Earlier, VP Howard-Taylor conveyed to the organizers best wishes of His Excellency President George Manneh Manneh Weah, who, she noted, is such a devoted He-for-She personality with a heart filled with deep concern, love and support for the welfare of women.